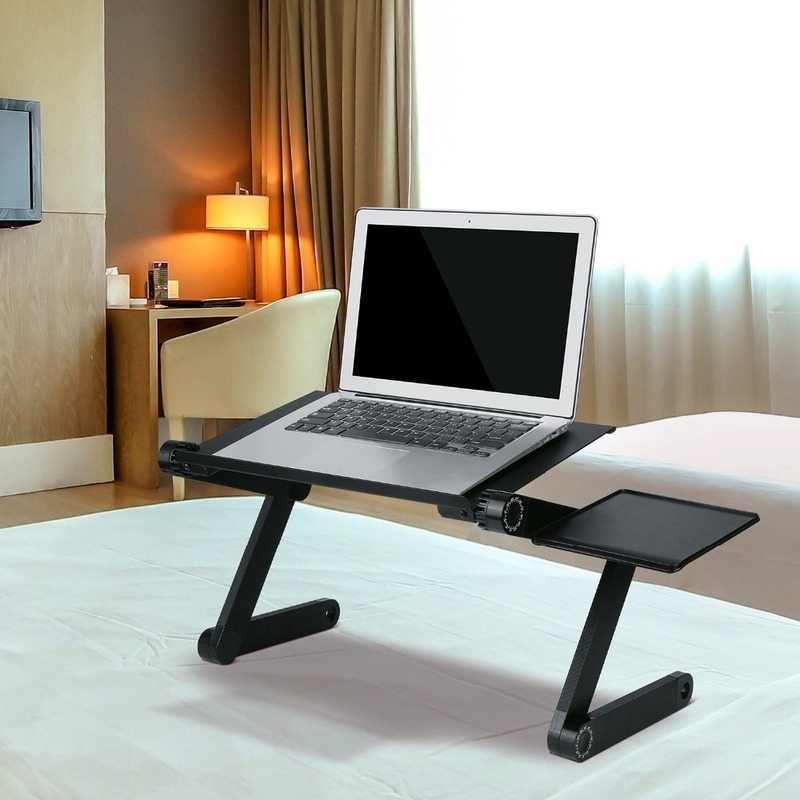 Ever had that uncomfortably annoying feeling when you’re lounging with a laptop on the bed or couch? Yup! We’ve all had that often. 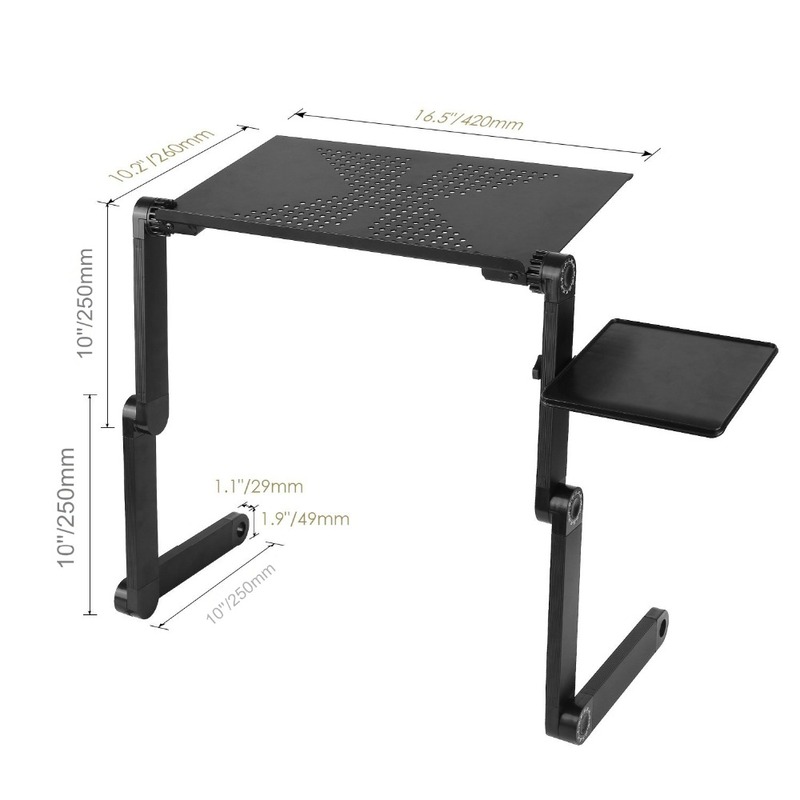 But, with this Aluminum Flexi Laptop Desk, you won’t ever have to be uncomfortable ever again. 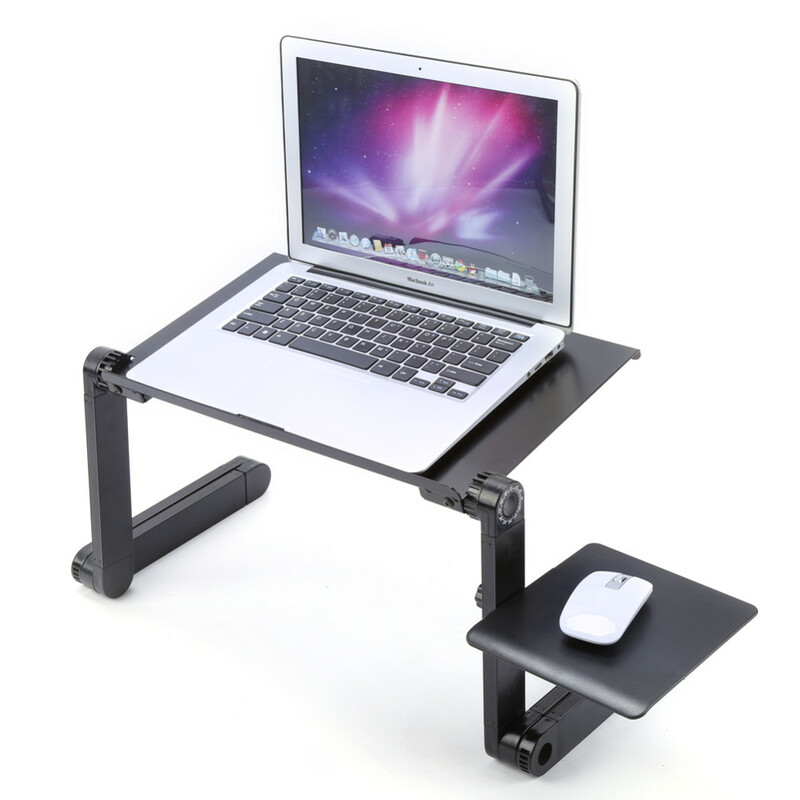 All techies and gadget addicts will absolutely love the Aluminum Flexi Laptop Desk! 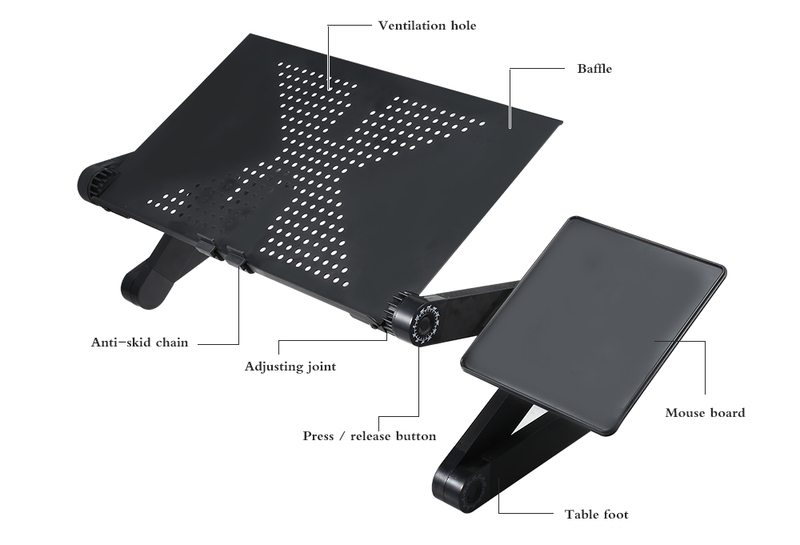 Imagine having the most comfortable experience while using your laptop or tablet anywhere. This one guarantees just that! 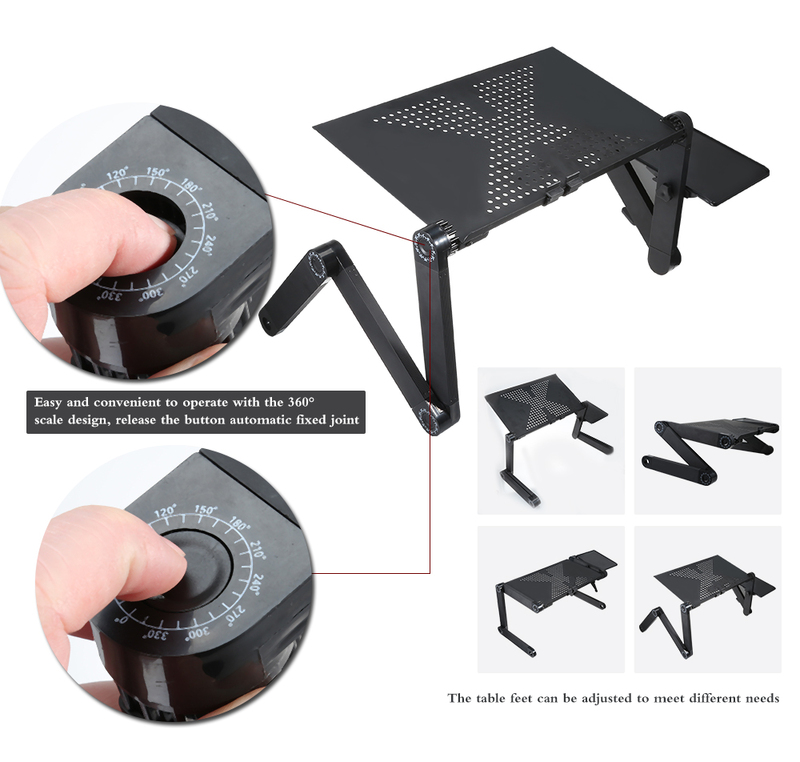 It provides you full control of your devices for maximum comfort and efficiency. 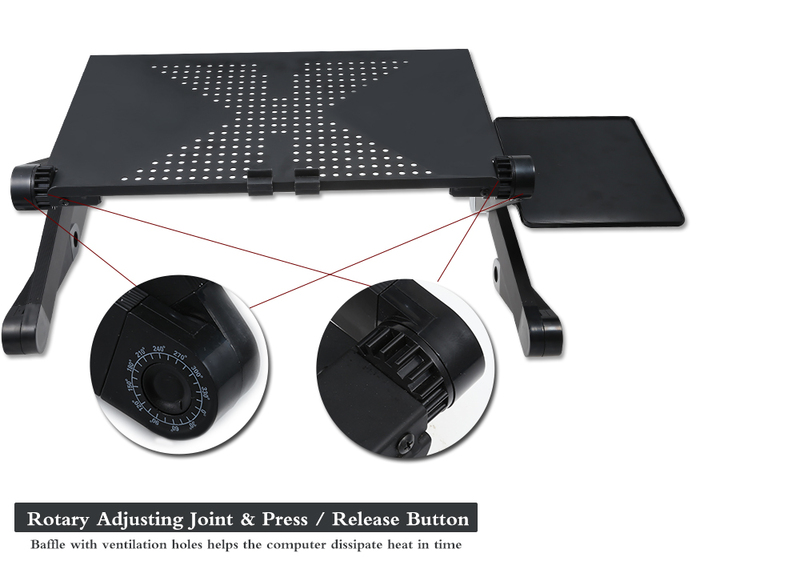 Plastic side pad for your laptop’s mouse. 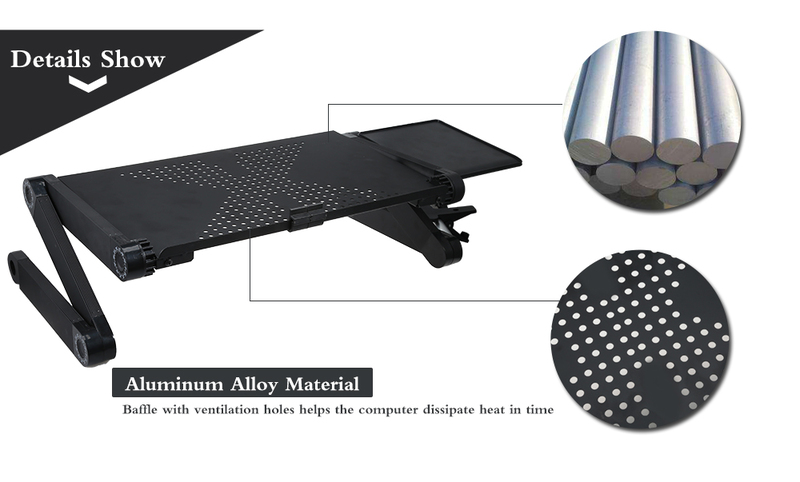 Ventilation holes at the base dissipate heat from your device. 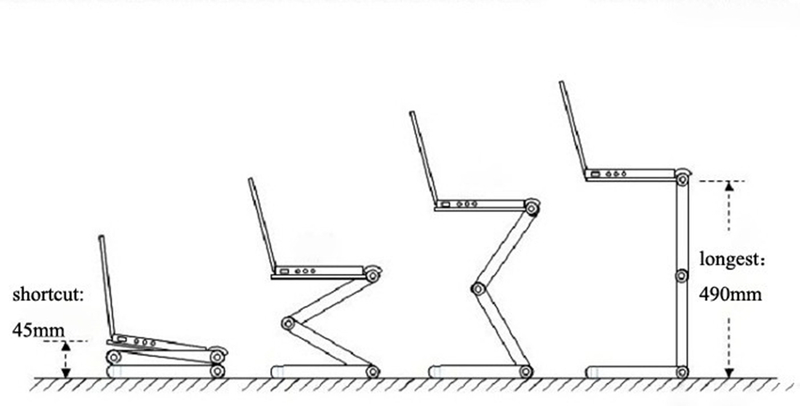 Use your gadgets comfortably anytime, anywhere! Fully Adjustable Height/Angle Knobs and 360⁰ Foldability! 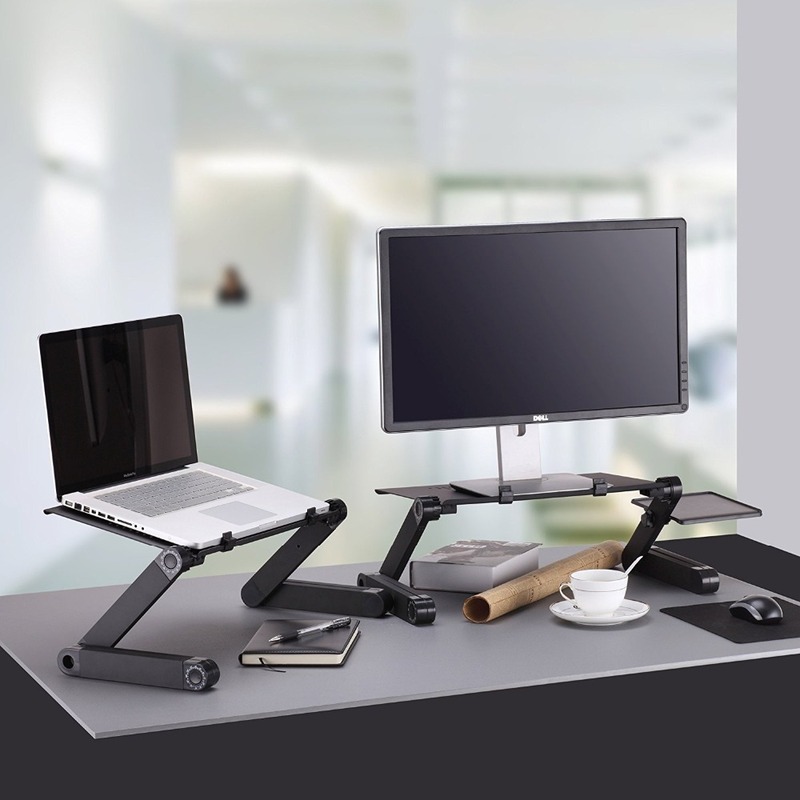 Ergonomic & made for tech lovers!